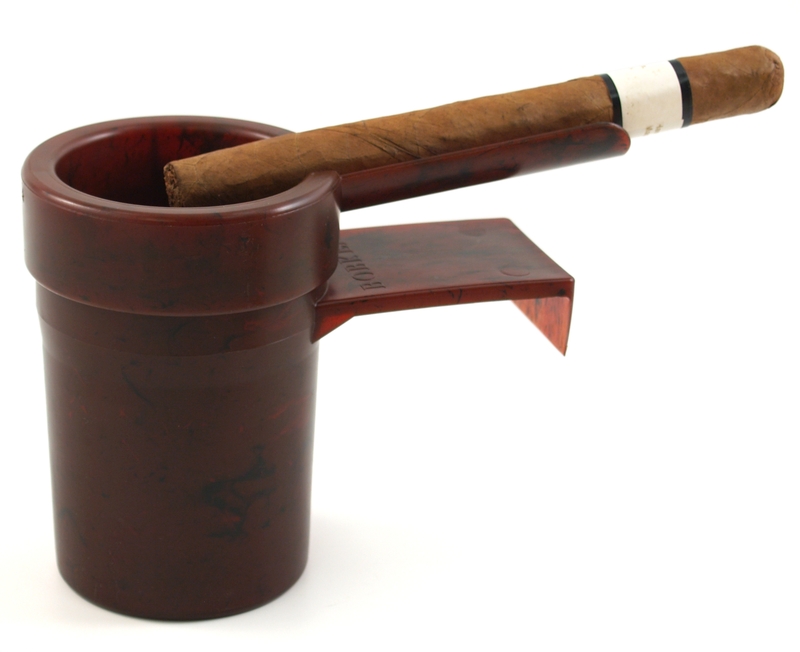 Enjoy a cigar on the go with this removable ashtray. This removable ashtray fits cupholders in your car, golf cart, RV, boat, and can even hang on window frames if there are no cupholders in sight. The specially-designed lid traps smoke and eliminates stale odors, keeping ashes contained and out of sight. When you need to extinguish your cigar, just drop it in. This ashtray is made from heavy-duty plastic and the lid comes off easy for emptying and cleaning.